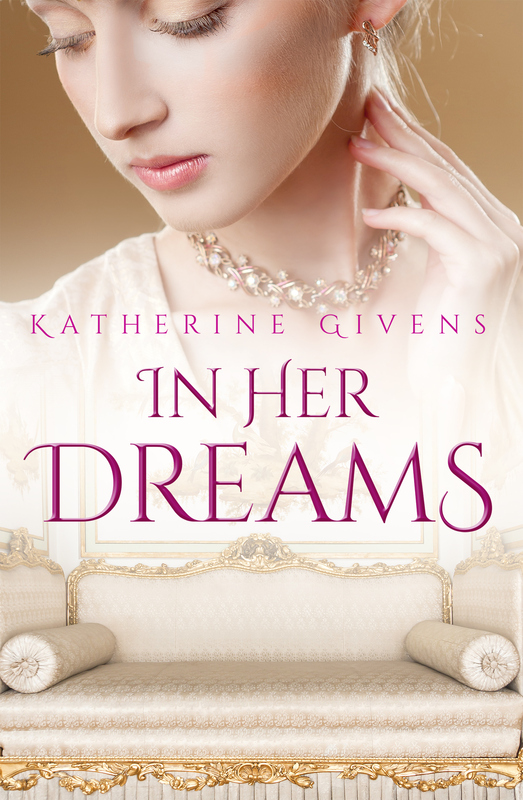 I recently had the pleasure of reading In Her Dreams by Katherine Givens and jumped at the opportunity to delve into the mind that conceived of such an entertaining story. I would like to take this opportunity to thank Katherine for taking the time to do this interview and also for writing such an enjoyable novella. If you have not had the chance to read it yet, you are in for a fun, frolic of a story. PD: What have you written? I’ve written several poems and short stories. A good handful of these have been published in various print and online magazines, such as The Copperfield Review, WestWard Quarterly, Tipton Poetry Journal, and Nazar Look. There’s a tidy list on my website. My novella, In Her Dreams, is my debut with Harlequin Australia’s Escape Publishing. PD: What are you working on at the minute? Is it a departure from In Her Dreams? Right now, I have a number of works-in-progress. The novella I’m polishing up, How the Might Fall, is a bit more solemn. There is a dash of humor as you’ll find in In Her Dreams, but the writing and the story are more serious. Another novella, The Good Samaritan, has the characteristic light brevity readers will find in In Her Dreams. PD: What genre are your books? What draws you to this genre? My genre is historical romance. I’ve always loved history. I remember being eight-years-old and in my local library. I picked up a book with the Pyramids of Giza on the cover. The sun was setting in the background, painting the sky with purple and pink hues. A line of camels and their riders were crossing in the forefront. I was absorbed by the ethereal beauty, and I immediately took the book to the checkout counter. I read the book, and then I was hooked to history. My obsession started with Ancient Egypt, and my curiosity soon stretched to the Greeks, Romans, the Renaissance, and the Enlightenment. Somehow, I came across Regency and Victorian England. I read the dry textbooks on English history, but I also had a voracious appetite for English historical romances. I adored the rigid rules in the eighteenth and nineteenth century society, because it makes for some sizzling and sensual love stories. I was enraptured with the clothing, the households, aristocratic hierarchy, the women’s world, the entirety of London, and the shift in human progress. Soon enough, I was writing my own romances. PD: Which writers inspire you? What is it about their work that resonates with you and is it reflected in your own work? Jane Austen is, without a doubt, my favorite author. A few reviews have compared In Her Dreams to Pride and Prejudice, while I pride myself on my novella having similarities with Sense and Sensibility. Austen’s wit and frequent lightness have inspired me. The intricate story-lines and complex characters are brilliantly done. It is what every writer ought to aspire to, and I am certain several do. I also love the darkness of the Bronte Sisters, the adventurous nature of Alexandre Dumas’ novels, and the twists and turns in Charles Dickens’ works. I adore Connie Brockway’s edgy heroines and unique settings, the sensuality of Lisa Kleypas’ writing, the Gothic tone of Shannon Drake, and the dazzling prose of Julie Beard. I also adore the profoundness of Khaled Hosseini’s books, the originality and use of history in George R.R. Martin’s A Song of Ice and Fire series, and Elizabeth Kostova’s solemnity. PD: Is there a message in your novel that you want readers to grasp? PD: If you had to do it all over again, would you change anything in In Her Dreams? Not a thing. I told my story the way I needed to. The managing editor at Escape saw something in it, and now I am an Escape Artist/Harlequin author. If I were to change anything about In Her Dreams, my own dreams wouldn’t have come true. PD: How can readers discover more about you and you work? I love connecting with readers through social media, so I can be found on Facebook and Twitter. To learn more about me or my work, anyone can visit my website, blog, Goodreads page, and Amazon Author page. Check out the links provided! Evangeline Vernon is a woman on the verge of spinsterhood — until the prim and proper Duke of Manchester steps in. Her family is pleased with the match, but the duke is not the passionate man Evangeline craves. Her heart belongs to an alluring, golden-haired gentleman perfect in every way…except one: he doesn’t exist. Angela Vernon is everything a proper, well-brought-up woman should be. She knows her place and understands society’s expectations — which include not being jealous of her sister and not coveting her sister’s suitor. But how can she bear the heartache of watching the only man she loves marry not only her sister, but a woman who doesn’t see past his exterior to the man he is beneath? Katherine Givens is a museum employee with a secret. Few know the truth of her greatest passion, but those closest to her know she loves to write historical romances… Alright, maybe more than a few people know she is a writer. Anyone who will listen to her can glean this from a conversation. So, Katherine Givens is a museum employee who wishes she had a devilish secret or a jaw-dropping double life, but the characters in her manuscripts often do. From the withdrawn duke mesmerized by his quiet maid or the savage viking eager to ravish a Christian girl, her heroes are always bound to have a secret or two. It is often up to the headstrong heroine to unravel the mysteries surrounding the man that has captured her heart. 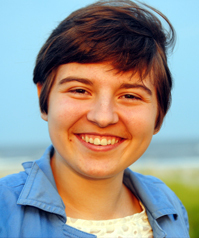 Katherine is a member of the Romance Writers of America and Romance Writers of America PRO. In Her Dreams (Harlequin Australia’s Escape Publishing) was released October 1, 2013.